Could not find a specific thread on 'C' Hooks and wanted to start the ball rolling with my latest addition to my collection of German Stuff. Mine is for Medium Tanks - a larger version was used for the Heavy Kit. 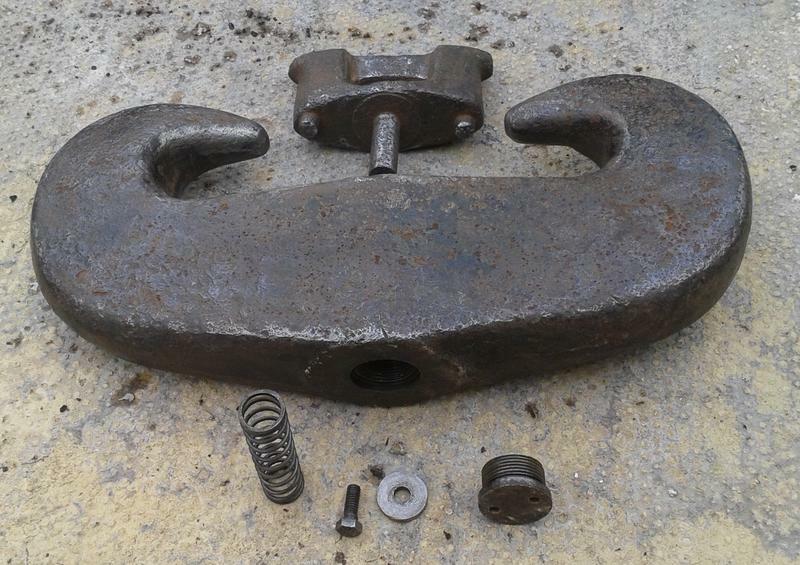 I had the main body of the 'C' Hook for some time but the Locking Device had broken off and was missing. I was lucky enough in managing to unscrew the base plug and found that the original bolt, washer, spring, and the shaft part of the locking device was still there and in great condition. Still had a small amount of grease in there as well. It needed a fair bit of cleaning but came up a treat. Bits ready for re-assemble - nice to have all original parts. Now working as it should. 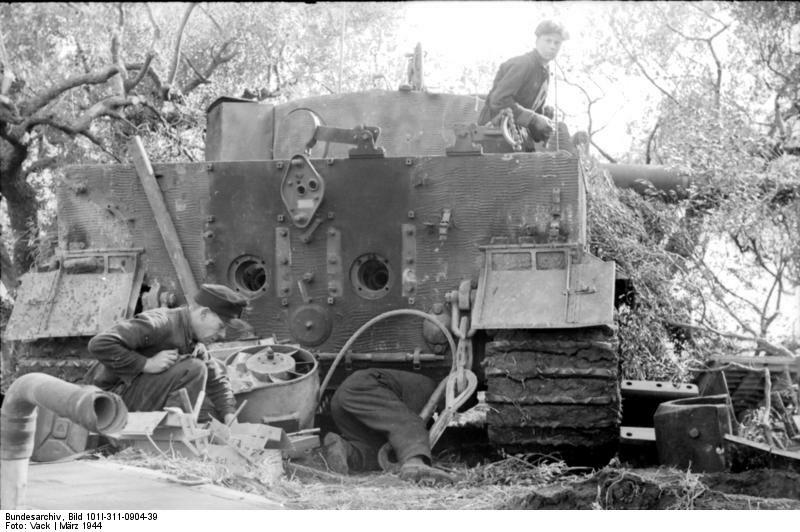 Could only find these two photos of 'C' Hooks in use, both on a Tiger 1. I'm now on the lookout for a nice Big 'D' Shackle to go with this. 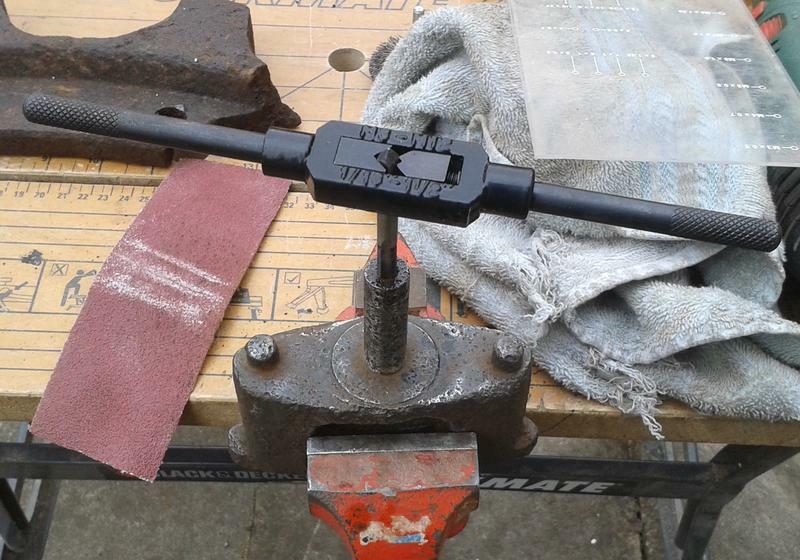 Will also get hold of a Towrope End - just to show example of connection. Happy for you all to add to this thread on 'C' Hooks - I know there will be quite a few of you out there who have them. A post on 'C' hook ! I will post what I have in the future. At present, I'm glad to see how it is inside ! As one of mine is almost blocked. I have just posted mine at the Panzermania thread!! 10kg PzKpfwIII/IV hook. Locking part missing, though. Oh, I also have an S hook, if someone want's to start another thread!! Please, confirm the weight of your hooks, so we can relate them to each vehicle. Wow, That is a great difference, Stephane. How much does the big one weigh? 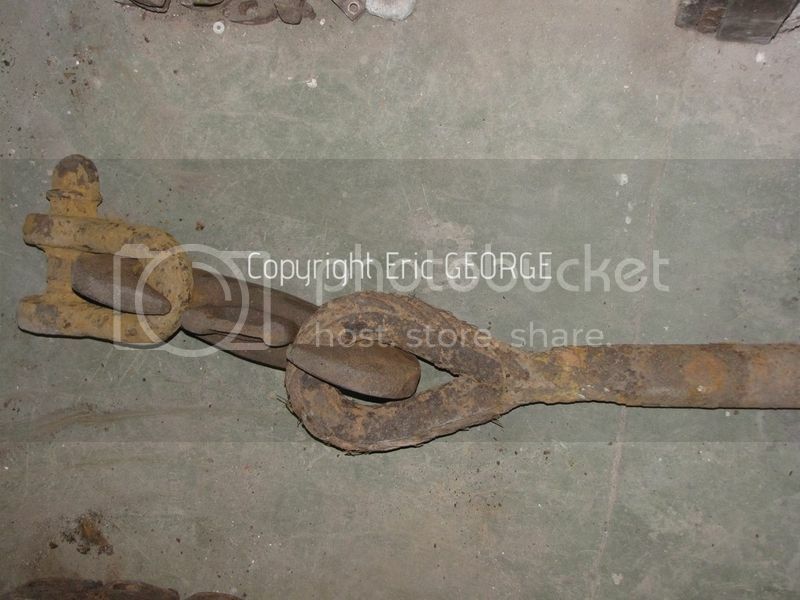 Here is an original C tow hook on a Spanish contract StuG III. Pic #1 taken some years ago. i believe it is not present any more, now. Interesting the one guy standing on the deck is carrying what appears to be a sten. Thanks for all your inputs to this Thread so far, some good examples- Keep them coming ! The large one at 26 kg - Wow - that's more than my Tiger 1 track links, early or late. 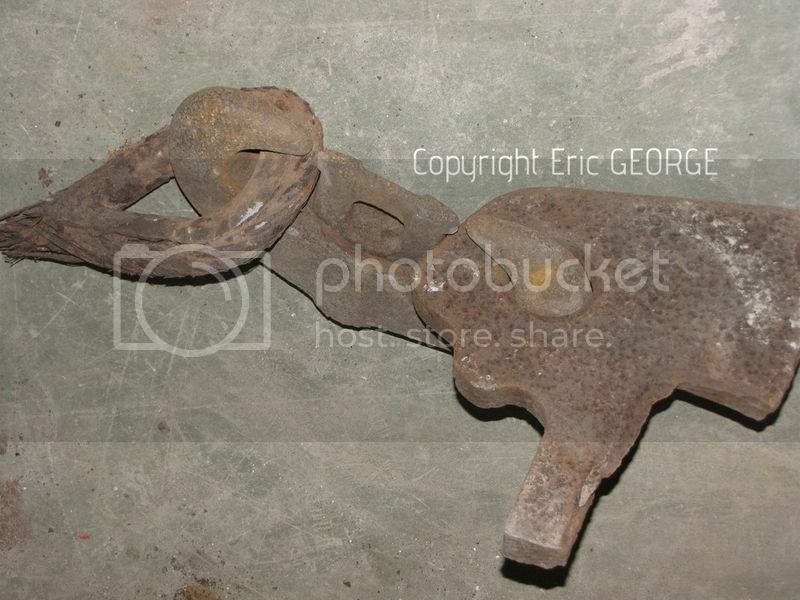 Mind you, looking at Stephane's ( ARQUILLE ) example of both together you can see why - these are big chunks of metal that need to be able to take a lot of strain and punishment. Like I said - Please keep those 'C' Hooks coming! 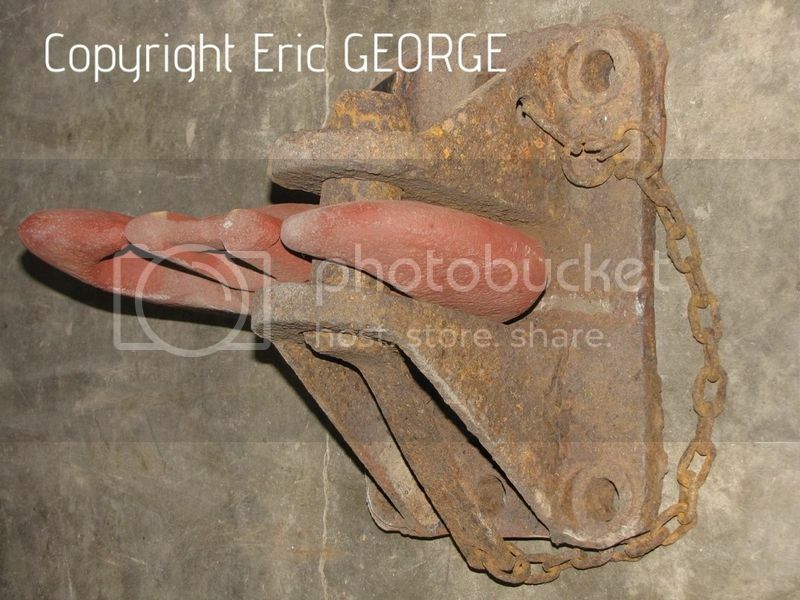 StuG with C tow hook. Another Tiger Photo with 'C' Hook attached between 'D' Shackle and Towrope. As promised, here are pics of my 'C' hooks. With a special feature : the display with tow cable ends and part on the tank ! 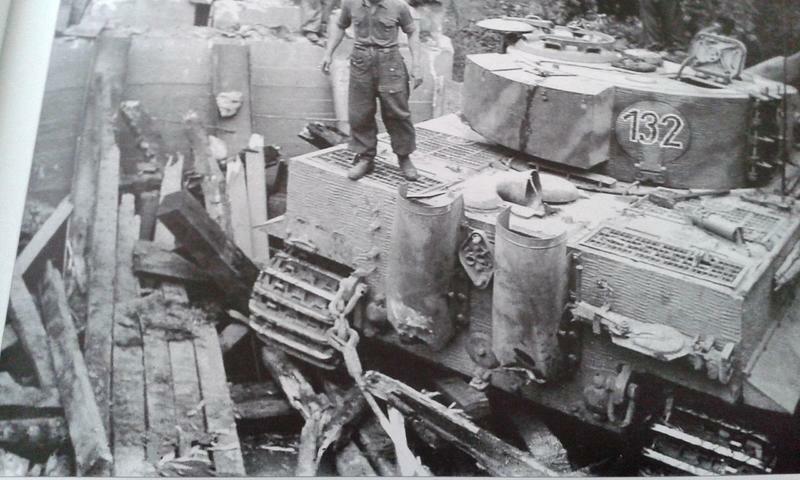 Firts of all, the small one for StuG with the tow eye. Second one, the heavy display for Panther. 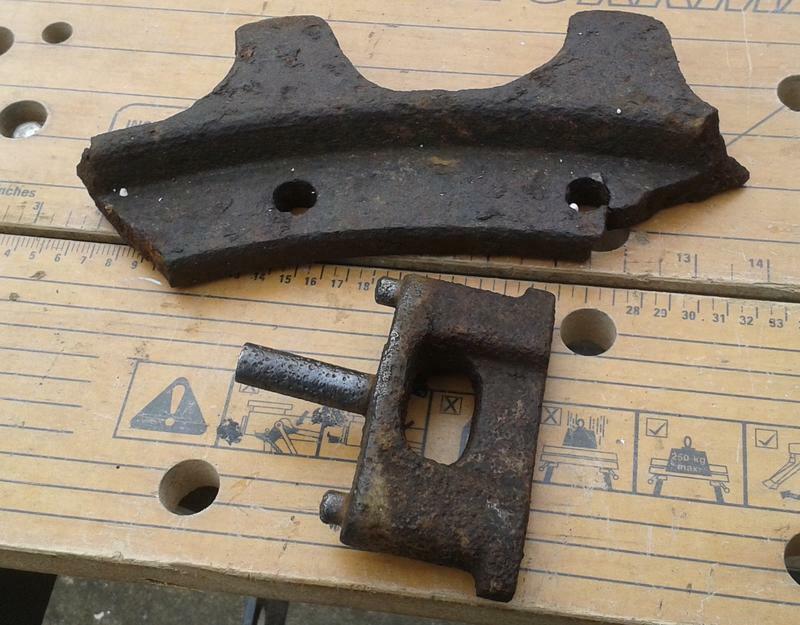 And now, for the first time in the world : the comparison picture with Panther and StuG C-hook side by side ! And another C-Hook for Panther. Well I have a question, is the C-hook for Tiger same as for the Panther ? I hope that you appreciate ! Really nice displays thanks for posting. 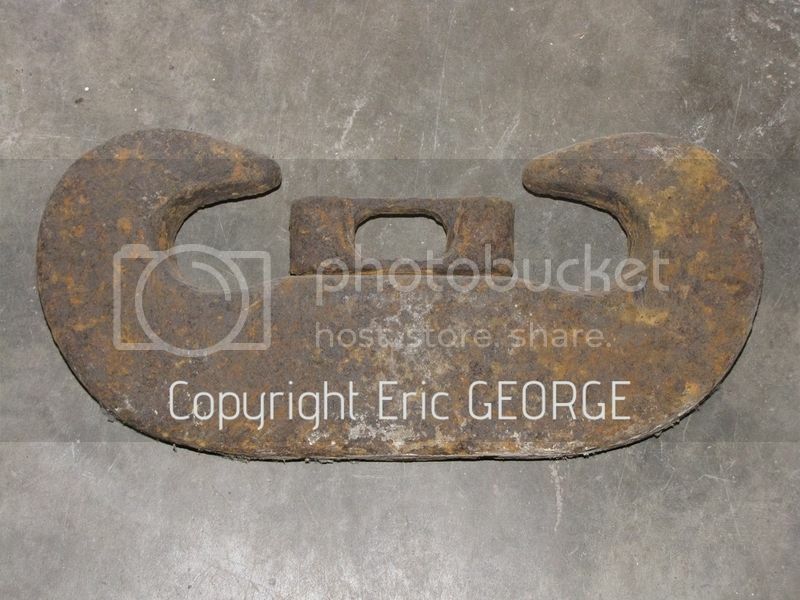 Here's another period pic of C tow hook. This is a heavier vehicle. Another Stug with a C hook. 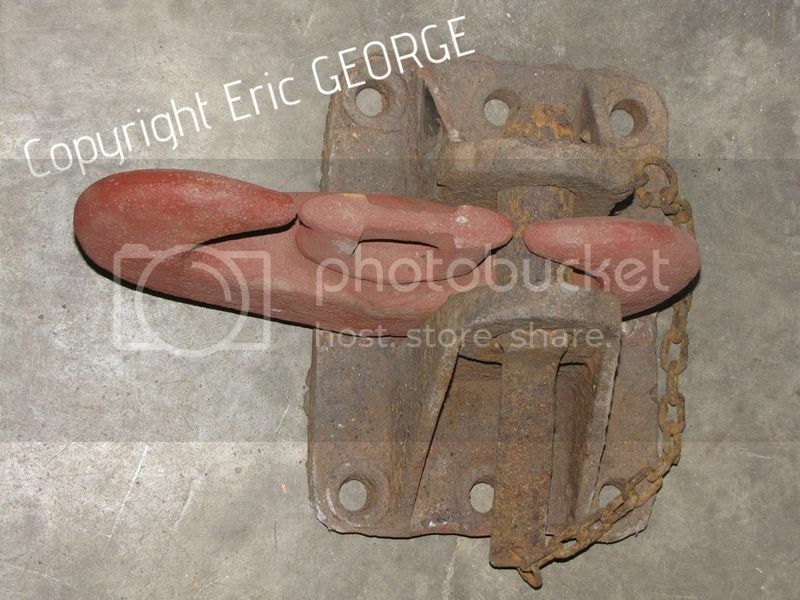 BTW...what vehicles had C hooks and which had S hooks, or did they have both , or one of each, or two of both? Yes - as far as I know the Panther and Tiger 'C' Hooks are the same ones. Great displays of your hooks. Has anyone managed to dismantle their Large Panther/Tiger hooks? It would be great to get a picture with all it's individual parts like mine at the beginning of this thread. 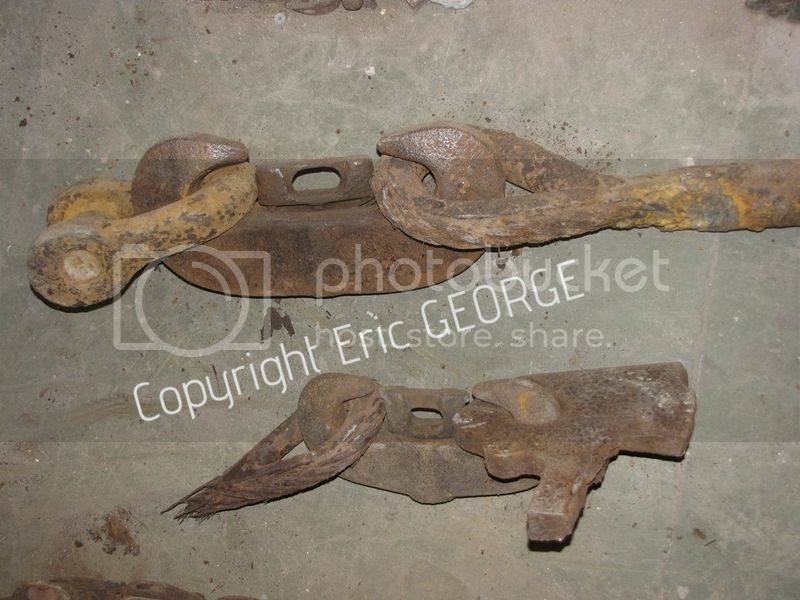 what vehicles had C hooks and which had S hooks, or did they have both , or one of each, or two of both? Carles - I'm not sure of the Medium Tanks - but the heavy ones like Panther, Tiger, etcetera normally carried two 'C' Hooks. 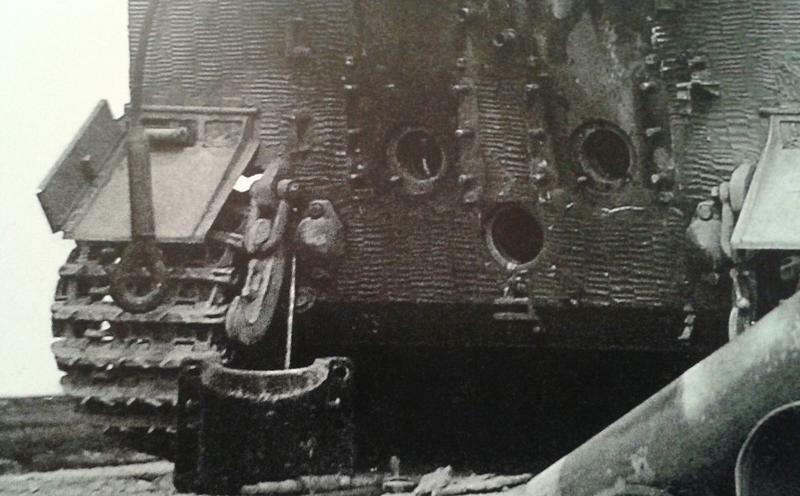 As far as I'm aware the 'S' Hooks were for the Medium/lighter tanks - don't know what carried what or how many.